my husband & i got Starbucks a lot when we took our road trip to DC last month. so, we had a lot of the cup sleeves in our car by the time we got home. 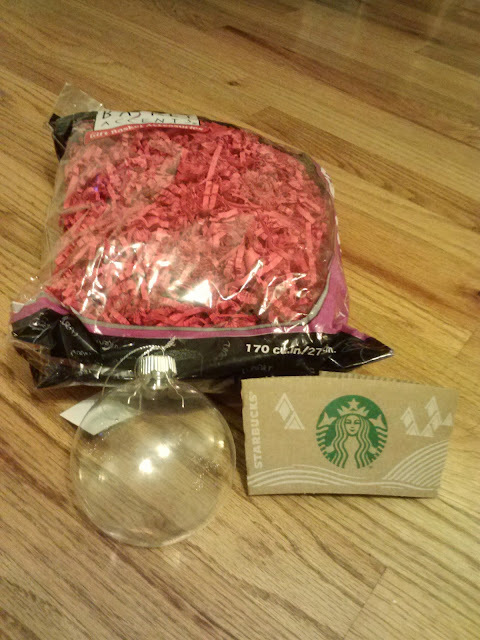 we wanted a way to remember our trip, so we decided we would make an ornament out of one of our Starbucks sleeves from DC. you guys, i am all about some simple crafts & this is as simple as they come! the only thing that's tricky is trying to keep the starbucks sleeve center & straight. i stuck a pen through the top of the ornament to hold it in place while i put the shreds in. 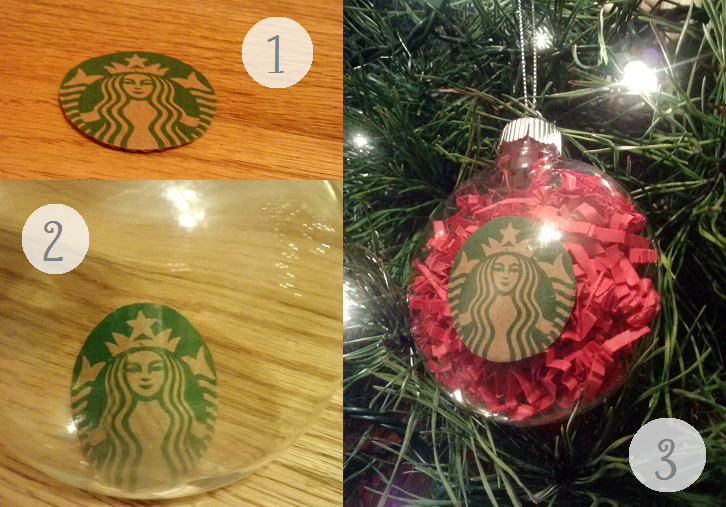 what ornaments have you made for your tree? oh my goodness that is adorable haha...i'm slightly addicted to Starbucks, there's one right next door to my work and I spend way to much money there haha. Cute idea!!! oh yes - we are addicted too! we spend wayyy too much money on coffee!